According to Cobra, there was a big purification of the energy of the Moon in the last decade. Now our Moon is completely clear and a pure natural body of light. It is transmitting energy of the pure feminine principle to the planet. Therefore, each Full Moon is a wonderful occasion to connect with that energy. Similarly, during every New Moon, the Moon is sitting virtually in between the Earth & the Sun. 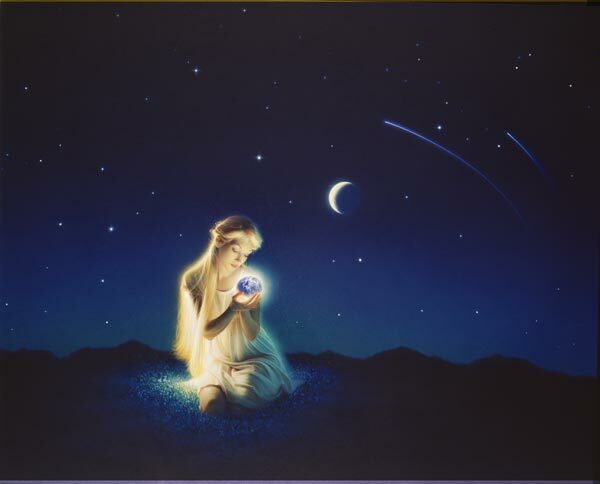 We can open new possibilities to be manifested during the impending lunar cycle. This is the time when we set up our intentions, plant seeds which we want to come to fruition at the time of the Full Moon. It is also an energetic doorway--a portal-- that allows us to break ground for new cycles from within, a time for a spiritual and emotional reboot. As we are approaching the new year very soon, we would like to announce the revised version of the Full Moon Meditation and the New Moon Peace Meditation to be used throughout 2019. Guided audio for these new meditations are being created and will be posted here when they are ready. 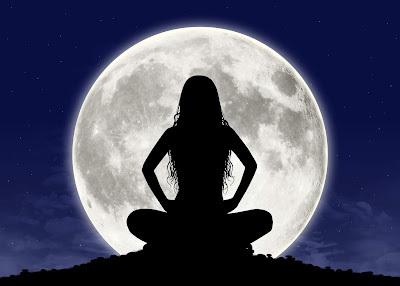 We will be doing the Full Moon Meditation on the date of every Full Moon at 2:45 PM UTC. This is a time that was chosen in order to allow the most people around the world to join in mass meditation at the same time on the day the Moon reaches its fullness. 2. State your intent to use this Full Moon meditation as a tool to anchor Pure Divine Feminine energy to the surface of the planet and to assist with planetary liberation. 3. Visualize a pillar of Light emanating from the Galactic Central Sun, then going through all points of Light inside our solar system, flowing through the Full Moon and then through your body to the center of the Earth. Visualize another pillar of Light, rising from the center of the Earth, then up through your body and upwards into the sky, passing through the Full Moon and towards all beings of Light in our Solar system and our galaxy, and finally connecting with the Galactic Center and Source. You are now anchored in two pillars of Light, the Light flowing both upward and downward simultaneously. Keep these pillars of Light active for a few minutes. 4. Visualize pure Goddess energy amplifying through the Full Moon and flowing towards the surface of the Earth. Visualize this energy encompassing and healing all beings on the planet, and Gaia herself. See all beings on Earth experiencing this pure Goddess energy in their own unique and positive way. Visualize all Goddess vortices on the planet being activated. 5. Visualize the Goddess energy of the Full Moon purifying all remaining primary anomaly and dark entities on the surface of the planet. 6. Visualize all operations of the Light Forces proceeding with full speed. Visualize Goddess energy calming all surface tensions at the time of the Event. 7. Visualize a new Golden Age on Earth, where the Unconditional Love of the Goddess encompasses all beings and where all people live in Peace, Harmony, Love and Understanding with each other. Visualize the second renaissance of both scientific and spiritual knowledge. See everyone’s needs being met and everyone living their life as they desire. Goddess wants liberation and liberation it shall be! The table below shows the date of each New Moon in 2019; we will do the New Moon Peace Meditation at 2:45 PM UTC on these dates. 2. State your intent to use this meditation on the day of the New Moon as a tool to bring peace to all places on planet Earth. 3. 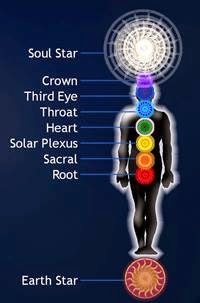 Visualize a pillar of Light emanating from the Galactic Central Sun, then going through all points of Light inside our solar system, flowing through the New Moon and then through your body to the center of the Earth. Visualize another pillar of Light, rising from the center of the Earth, then up through your body and upwards into the sky, passing through the New Moon towards all beings of Light in our Solar system and our galaxy, and finally connecting with the Galactic Center and Source. You are now anchored in two pillars of Light, the Light flowing both upward and downward simultaneously. Keep these pillars of Light active for a few minutes. 4. Visualize pure Goddess energy amplifying through the New Moon and descending to your body through your Soul Star Chakra, then passing through each chakra of your body, exiting through your Earth Star chakra, and finally reaching the center of the Earth. Keep this pillar of Goddess energy active throughout this meditation. 5. Visualize the physical Sisterhood of the Rose groups around the world meditating together and anchoring the energy of the Goddess, inspiring people to live in harmony, peace, unity, acceptance, compassion and love. 6. 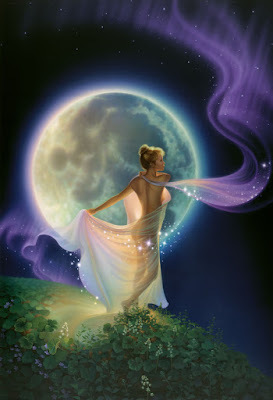 Visualize pure Goddess energy activating the inner feminine essence in everyone on the surface of the Earth, balancing it with their inner masculine essence. 7. Visualize all conflicts on Earth being harmonized and healed. 8. Visualize the people of Earth joyfully participating in the creation of the New society with abundance, prosperity and unity. Visualize the beginning of a new grand cosmic cycle, bringing pure Light, Love and Happiness to all beings in the entire Universe. Most people who are reading this blog should be aware of the Return of Light Activation organized at Cobra's request on January 20th/21st, at the moment of the maximum of the Lunar eclipse. To prepare for this important meditation, we are promoting a special meditation on January 6th. On this day, there will be a partial solar eclipse which will be visible from locations in north Pacific and northeast Asia. We will be doing this meditation at 1:28 AM UTC, which is the exact time of the New Moon. This 15-minute meditation will also then cover the maximum of the partial solar eclipse at 1:41 AM UTC. The aim of our meditation is to help anchor more Light and Goddess energy on the surface of the planet, and to build up the energy for a successful Return of Light Activation during the coming Lunar eclipse. Details of this meditation will be published in a separate post in the coming days. We also organize different mass meditations regularly for various purposes. We also provide emergency financial support to lightworkers around the world as we are able.